This second entry keeps all the fun, humor, action, and social commentary of the first but shifts the setting east for an urban makeover. 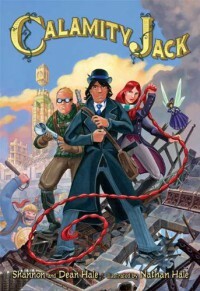 It's the late 19th century and giants are pulling the strings of the city in this revolutionary spin on Jack and the Beanstalk. Art continues to be appealing, funny and a little manic.